Like most any writer of history, I love the research process. Nothing is more satisfying than unearthing some previously unknown treasure. Most exciting of all are primary documents—diaries letters, reminiscences, or articles left by people who experienced the events I’m studying. 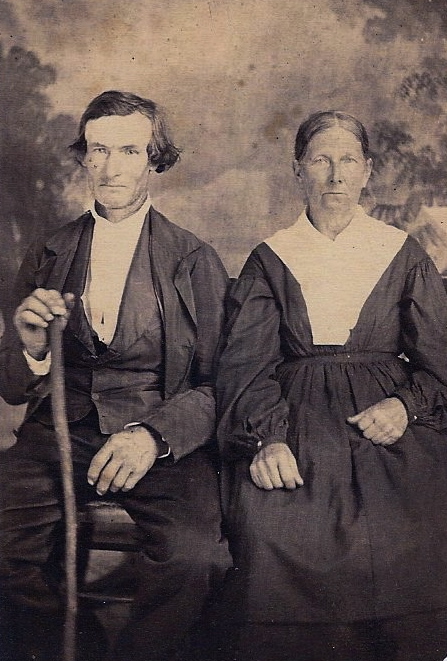 This unidentified couple was photographed in Western Maryland. 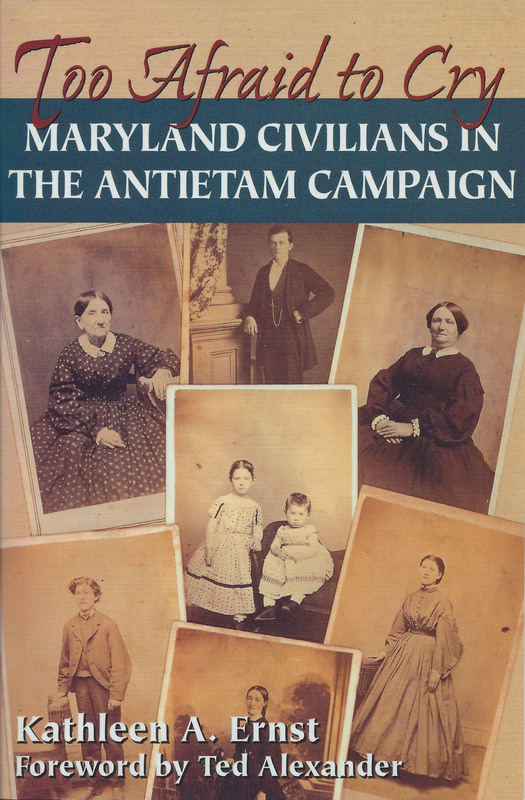 I spent twelve years digging through such documents while researching Too Afraid to Cry: Maryland Civilians in the Antietam Campaign. I got shivers reading the words of people who had lived through the Civil War in Sharpsburg and surrounding communities in Maryland. 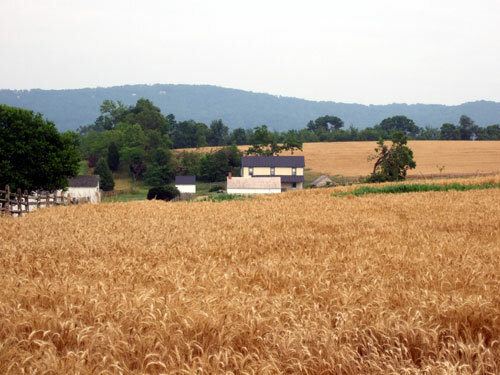 Several of the most detailed accounts of the Battle of Antietam (also called the Battle of Sharpsburg) came from people who had been children during the campaign. After the book was published, a man attending one of my programs politely called me out for including the memories of such young witnesses. Surely, he said, they were unreliable. We had a respectful conversation, but he didn’t change my mind. Any firsthand account comes through the writer’s personal filters. Also, Too Afraid to Cry doesn’t offer a single viewpoint of the events of September, 1862. Instead, hundreds of accounts were used to present a much larger story. I can’t imagine any group more likely to remember details than the children who watched everything familiar explode in carnage beyond comprehension. Many of them were haunted forever by the scenes and experiences that had shattered their world. Meet three of the children of Antietam. 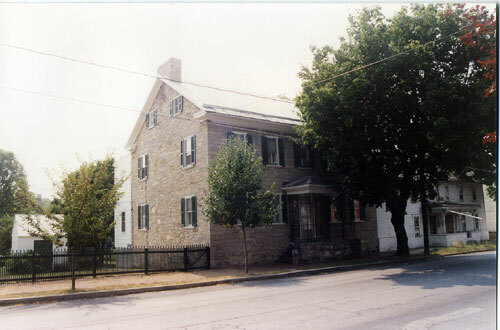 Oliver Thomas Reilly of Keedysville was five years old in September of 1862. As the armies jostled into place, he witnessed an altercation between Union cavalrymen and several Confederate stragglers. He was among the crowds of local civilians who watched the battle from a nearby hill, although he saw little but smoke. The family returned home to find two dead soldiers in their yard and three more in the house. A newspaper artist captured a family watching the battle. Those September days shaped the rest of Oliver’s life. 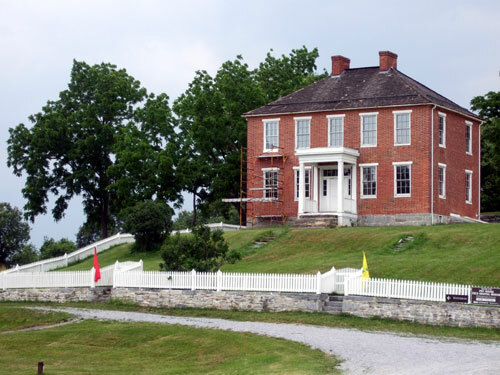 O.T., as he was known, spent the rest of his life collecting and selling relics, writing about the battle, and giving tours of the battlefield. Lucky customers to his store on the Sharpsburg square got to hear him play his Civil War drum. 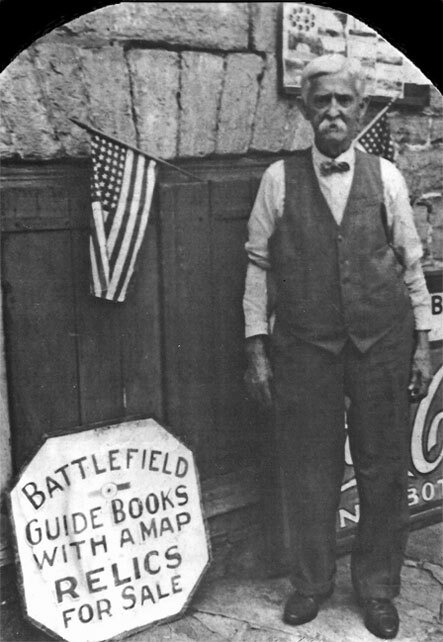 Over the years he escorted hundreds of veterans over the battlefield. 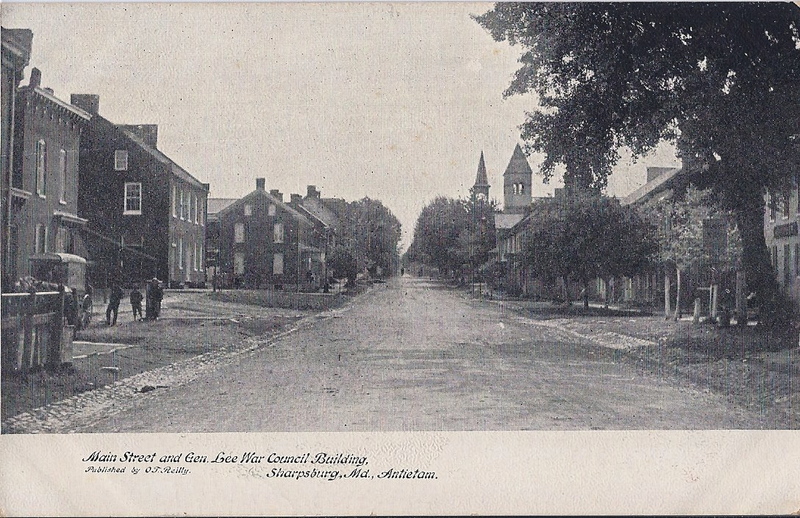 One of the postcards sold by O.T. Reilly. We had the orchard to cross first. the bullets were whistling all around us. One went through my father’s hat and several went through the curtains on the carriage. . . Then I heard a terrible whistling and an explosion which sent the earth and stones in every direction, which I was told was a shell exploding. Ada had not yet turned four that September. While her memories may have been augmented by stories, some of the personal details she included in her reminiscence feel too childlike to be second-hand. She spent her life collecting relics and accounts of the campaign. 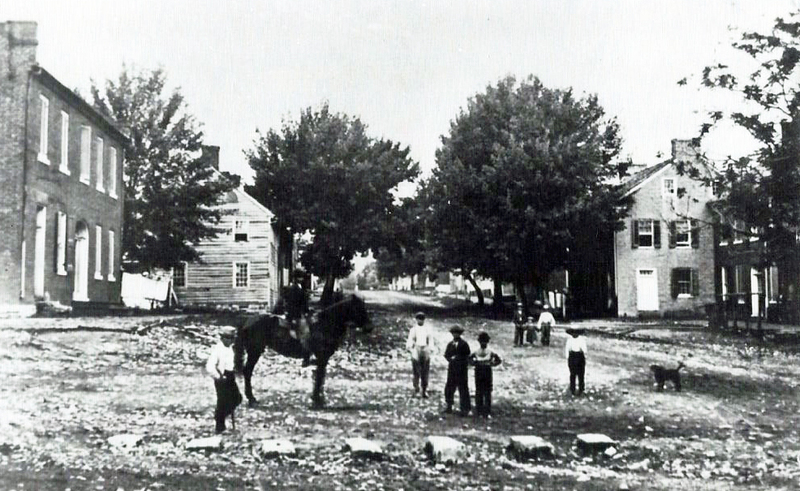 The third story also depicts the battle’s aftermath. 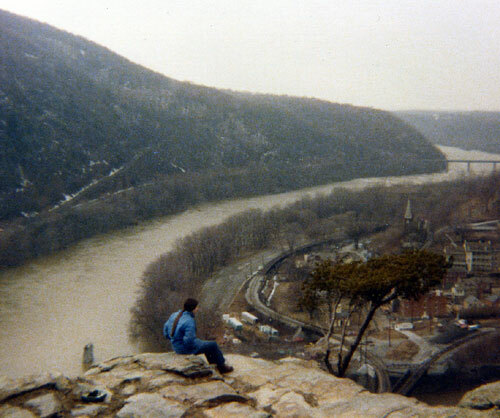 A little girl named Margaret lived on the edge of Sharpsburg. She spent the day of the battle in her cellar with several siblings and their mother, who was pregnant. 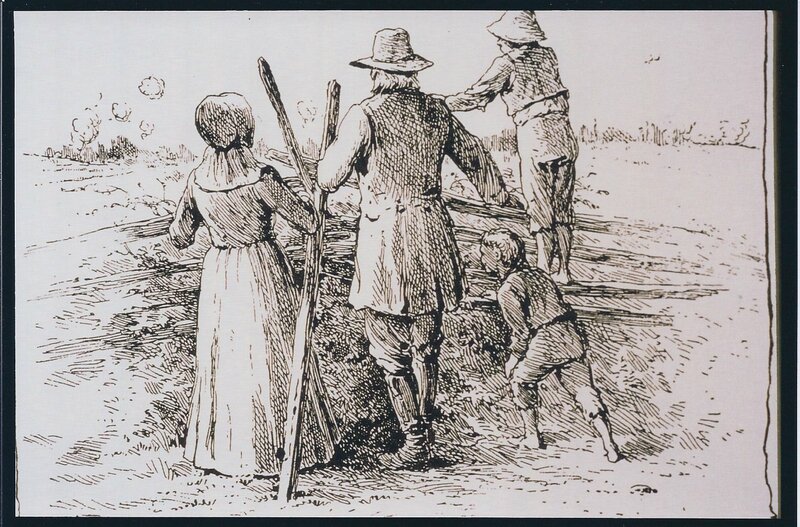 They spent much of that interminable day tearing their clothes and bedding into strips, and packing lard and goose grease into shards of crockery. Jugs and gourds were filled with water. 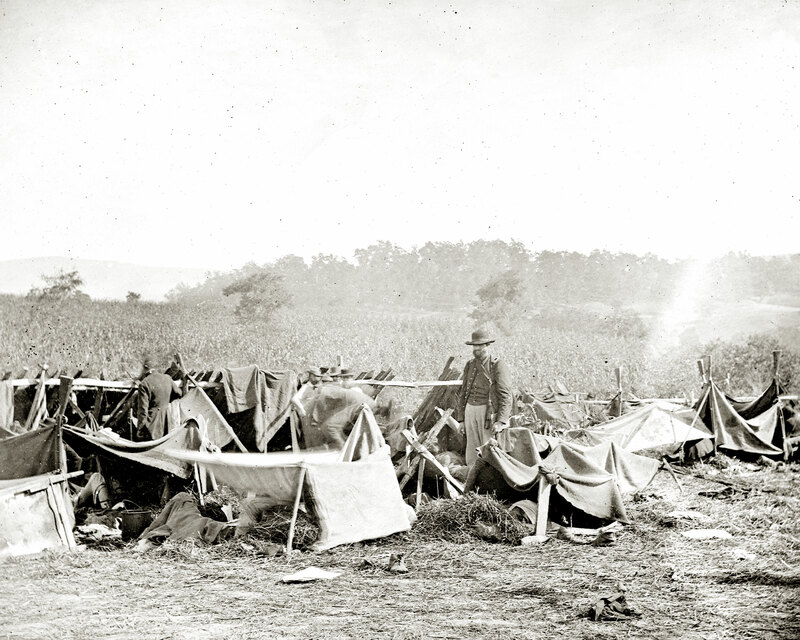 When the fighting subsided, the little group ventured onto the battlefield, lugging baskets and quilts. The world the children knew was replaced by a smoldering landscape. Smoke stained the sunset eerie shades of red, and flames from burning buildings writhed against the sky. There was a red haze from the sunset…the brick of the church was red, and as far as I could see were suffering, crying, or dead men. . . red, red, red. It was a red stew. I can remember my mother laboring with three big baskets and I holding her pettiskirts. . . pulling a large bundle along the ground. . . and all of us, my brothers and sisters, too afraid to cry. 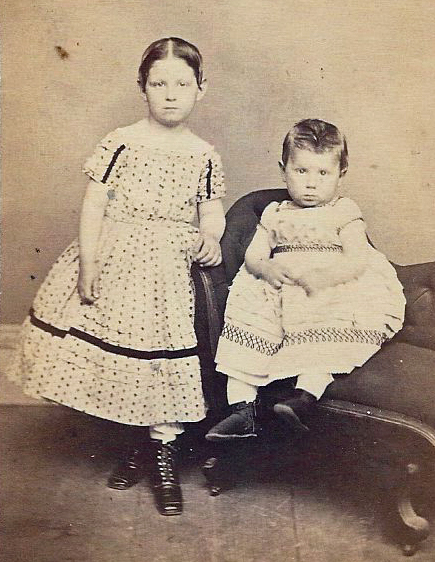 The children in this portrait are unidentified, but the photograph was taken in Hagerstown, MD—not far from Sharpsburg. I imagine this little girl was about the age of Margaret, whose description provided the title for my book. No, I don’t find it difficult to believe that four, five, and six-year olds might well remember details of those horrific days for the rest of their lives. I wrote Too Afraid To Cry in large part to honor them—and all of the civilians who endured so much.